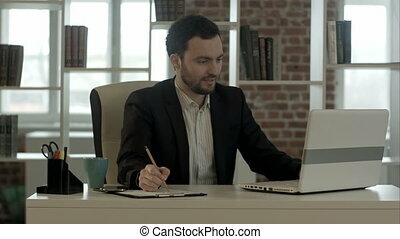 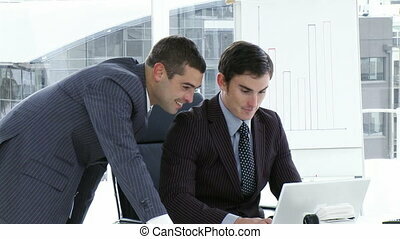 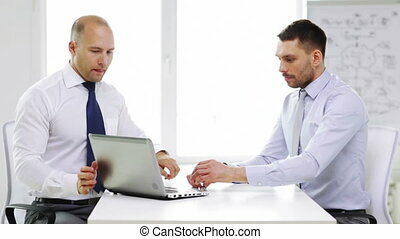 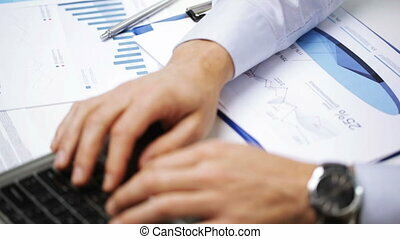 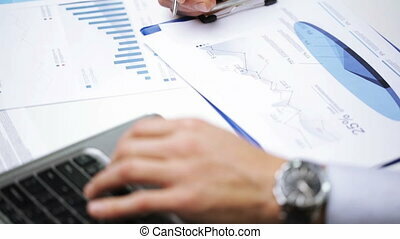 Two smiling businessmen with laptop in office. 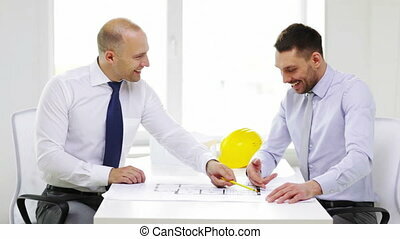 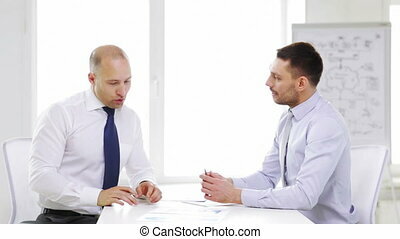 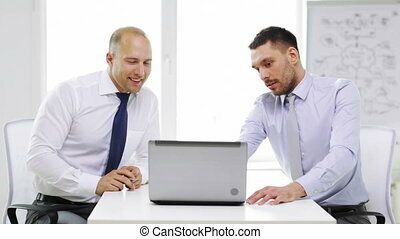 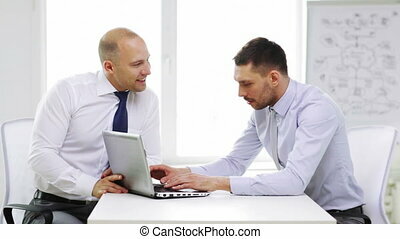 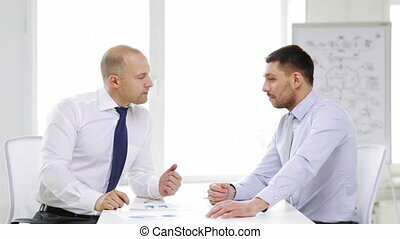 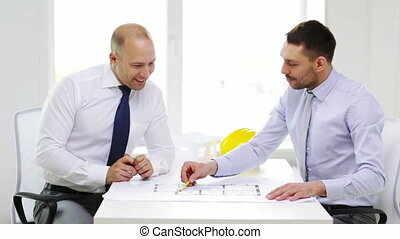 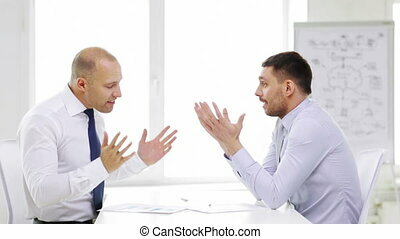 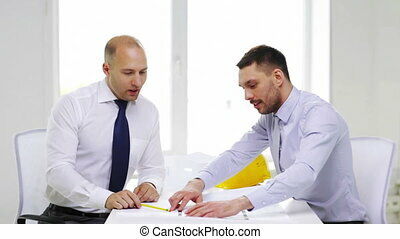 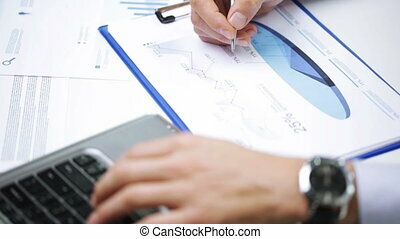 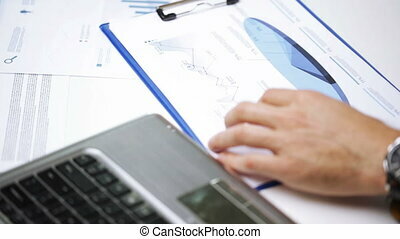 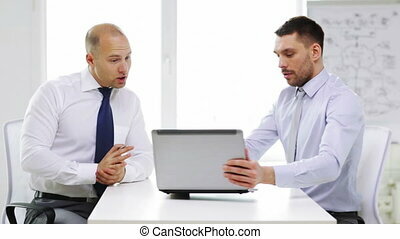 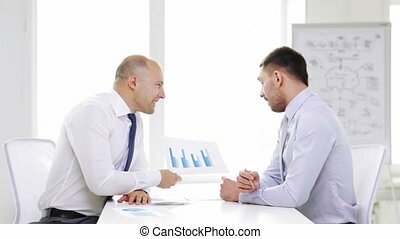 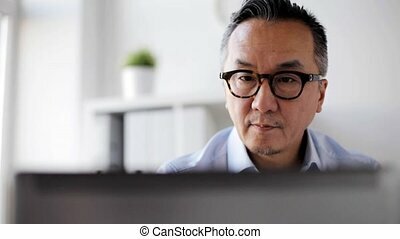 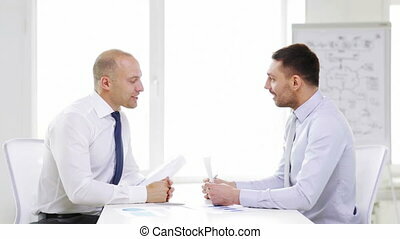 Business, technology, finances and office concept - two smiling businessmen with laptop computer in office. 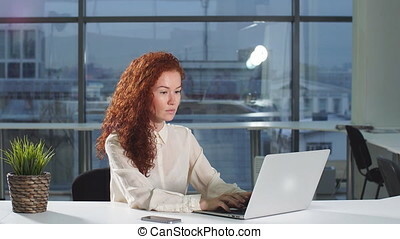 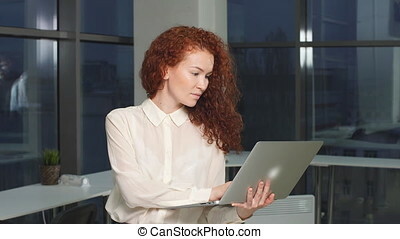 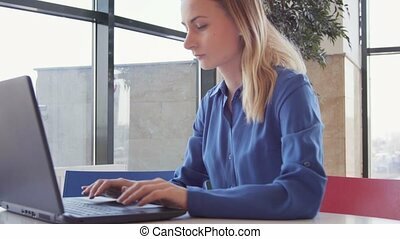 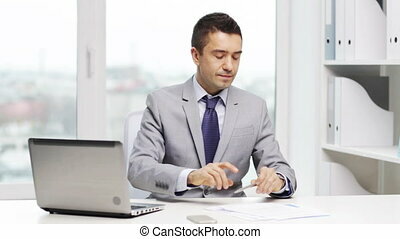 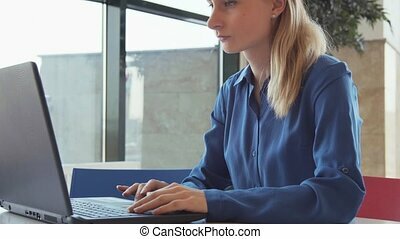 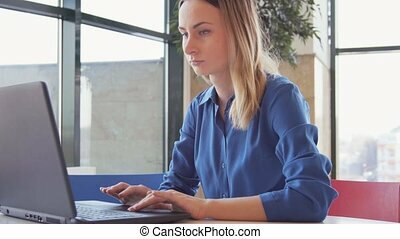 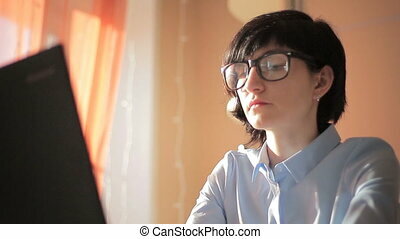 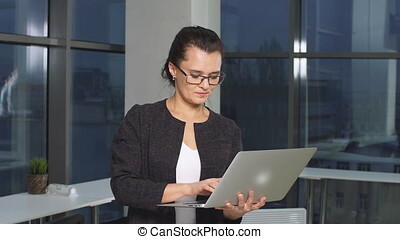 Businesswoman in office with laptop computer.